Suffering an accident or injury through no fault of your own can be stressful and overwhelming – but help is at hand. Our specialist team of personal injury solicitors have pursued hundreds of compensation claims on behalf of clients, dealing with everything from loss of earnings to property damage compensation. We’ve successfully won compensation for clients in a multitude of different circumstances, helping them to get back on their feet and continue with their lives. Whether you’ve experienced an accident or illness abroad, a road traffic accident that wasn’t your fault, or a workplace accident that could have been prevented, our team will walk you through the process of making a claim. We’ve investigated health and safety breaches, we’ve won psychological injury cases and achieved substantial compensation for clients with, back injuries, burns, eye injuries and many more. You can claim compensation for any financial and non-financial losses you have suffered as a result of the accident, including the following: personal injury, loss of earnings, medical expenses (including prescription charges), physiotherapy charges, care and assistance, vehicle damage, loss of market value of vehicle, policy excess, recovery charges, storage charges, hire of an alternative vehicle, travelling expenses (to and from the GP, hospital, medical examination), general inconvenience. Compensation is awarded for pain, suffering and your inability to do things after your accident that you could do before. The award of damages is based upon medical evidence, ordinarily in the form of a specialist medical legal report, which we will obtain, which includes the nature and extent of the injuries you have suffered as a result of the accident and an estimate of the likely time it will take for you to make a full and complete recovery. 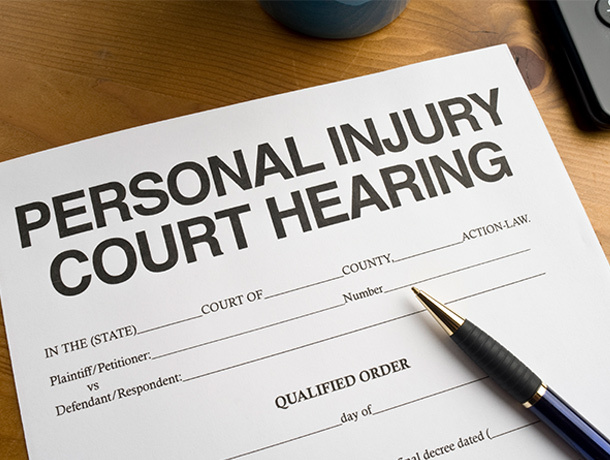 The amount of personal injury compensation awarded varies depending on the seriousness of the injury. You can claim the full extent of any financial losses you have suffered as a result of the accident, provided you can provide proof of the same. Therefore it is essential that you keep all the receipts where applicable as proof of expenses incurred. The aim of this compensation is to put you back in a position, financially, as if the accident had never occurred. We are committed to providing an efficient service and have experience of obtaining compensation for all financial losses and personal injuries within 3 months. However, unlike other solicitors, our high standards of service to you will not be compromised in obtaining a quick and unjust amount of compensation. We are committed to ensuring you receive a fair and proper amount of compensation for your injuries and therefore on average a claim for compensation can be concluded within 6-9 months. For a more accurate estimate of time we will need to assess the circumstances of your case and the extent of your claim. A senior lawyer will initially asses your claim, paying particular attention to your prospects of success in respect of the issue of liability ( who is to blame for the accident) and quantum (the amount of compensation you are likely to receive if successful). Therefore we will only pursue your case if there are reasonable prospects of success and quantum. Hence we will not ask you for any money at the outset, nor at the conclusion of the matter, so long as you have co-operated with us and not mislead us or withheld information. In addition we are able to arrange comprehensive insurance cover to indemnify you against your opponents costs as well as your own disbursements, should you not have existing Legal Expenses Insurance cover. If the third party responsible for the accident can not be traced and the matter falls within the Motor Insurance Bureau Untraced Drivers Agreement, then individual fee arrangements will have to be made, specific to each case. The initial advice is free and we will assess whether you have a reasonable claim for compensation. If you have a claim we will act for you under a no win no fee agreement – formally known as a conditional fee agreement. This agreement essentially means that even if your claim is unsuccessful, you will not have to pay us a penny in respect of our fees. If your case is successful, we will look to recover all our fees from the other party’s insurer(s). We will not deduct a penny from your compensation award for our legal fees. There are also other methods of funding available, which we will discuss with you at the outset of your claim with us. We will, ordinarily, pay for any fees incurred in pursuing your claim, including medical report, barristers and court fees. You have a legal duty to keep your losses to a minimum, which is known as a ‘Duty To Mitigate’ . You may not recover any losses that could have been avoided or limited. Detailed below are notes to help you claim some of the losses which you may have suffered. Financial losses and expenses, such as prescription charges, taxi fares or loss of earnings, are known as ‘Special Damages’. It is important that you keep any receipts or documentation which will help prove the amount you have lost. If you have been off work for any period you should tell us. Even if you have been paid in full during your absence we will need to write to your employers, as you may have a contractual duty to claim from the other party sums paid to you during your absence. You should keep a note of any further days or periods off work as result of your injuries, including for example visits for medical treatment. Obtaining a medical report If you suffered injury in the accident, however minor, you may be entitled to recover compensation known as ‘General Damages’. It is important that you see your GP as soon as possible after the accident, particularly if you have a minor injury which you will soon recover from. We will arrange for a medical report to be prepared, either from an independent GP or, if the injury is serious or the symptoms ongoing, from a consultant. The expert may need to review your medical records so that they can familiarise themselves with your past medical history before writing their report. We will need you to sign a ‘Form of Authority’ to enable ourselves and experts to have access to your records. All the records we receive will be treated with strictest confidence. If you have any medical history which is relevant, such as similar symptoms or a previous injury, it is important that you inform us before we ask the expert to provide a report. Obtaining treatment If the Consultant or your GP recommends treatment of any kind we can arrange private treatment for you. Wherever possible we will arrange to defer payment of the treatment until the conclusion of you case or obtain payment from the other side’s insurers. If you are a member of a private health insurance company scheme (for example BUPA), you should provide details to us as the insurers may require us to claim back sums paid on your behalf. It helps us if you keep a note of any invoices forwarded to your insurers, for cross-checking purposes. If you have been injured in the accident you may have incurred other expenses which we can claim for you. Medical fees You are entitled to claim for reasonable payments you make for private medical advice and treatment. Please refer to the section on obtaining medical treatment (above). Medication / prescription charges Please keep a record of the costs of medication including the type of medication, date of payment and amount paid, and retain any receipts. Travel expenses You can claim your reasonable expenses in travelling to medical appointments, whether for treatment or reports. Keep a record of the date, distance and reason for the travel, with the amount and any receipts. Aids, equipment etc. You may have had to purchase small items such as a neck or back support the cost of which you may be able to claim. Larger items of expenditure, e.g. an orthopaedic bed, may have to be supported by a recommendation by a medical expert. 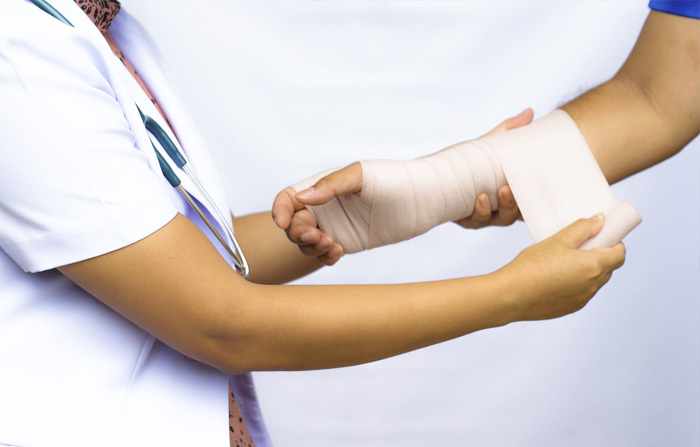 Household help If you need household help as a result of your injuries, you may be able to claim the costs of this help provided it is reasonable. Keep a note of the date and amount of any payments to helpers. You may be able to claim an amount for relatives if they provide help for free. This may include help for gardening, DIY etc. if you feel that a claim is justified, please discuss this with us. Increased bills If you are seriously injured, you may find that your gas and electricity bills have increased – this may be because you are spending more time indoors and also because you may find that a warmer atmosphere helps ease your symptoms. If you think that your bills have increased and that this is related to the accident, you should supply us with comparative bills for the periods before and after the accident, and we can consider this further. Telephone and post expenses However minor the case, we usually make a nominal claim in respect of increased postal and telephone expenses, e.g. in corresponding with your insurers, ourselves and medical advisers. Clothing If your clothing was damaged in the accident you should supply details of the individual items, their approximate value, the date when they were purchased and the purchase price. Any purchase receipt you have obtained should be supplied. Holidays You may be prevented from going on holiday because of your injuries, or a holiday may be spoiled because of your injuries. This is something you should mention to the consultant at your medical examination. If the cancellation of you holiday involves financial loss, you should let us know and supply documentary evidence. We will need to know if you have made a claim under your travel insurance policy. Pastimes You may be prevented from pursuing certain activities because of your injuries, e.g. sports. If so, please again tell the medical consultant. If membership fees for clubs have been wasted as a result, you should supply details of the relevant fees and documentary evidence in support. Department for Work and Pensions Benefits If, as a result of your injuries, you have received any DWP benefits, you should let us know the type of benefit and the approximate amount. In certain cases you will need to repay any benefits you have received to the DWP; we will advise you if you need to do so. When you receive compensation you may lose you right to receive means tested benefits. If you or your partner receive means tested benefits please advise us immediately as we may be able to help you protect those benefits. Other losses and expenses The above list is not intended to be an exhaustive list of possible items of claim. If there are any other losses or expenses which you think may be related to the accident, please supply details and forward and documentary evidence as proof. Most Policies are subject to an excess, for example £50.00, which is paid by you to the garage on completion of repairs or deducted from the settlement offer if your vehicle has been damaged beyond economical repair. It is vital that you send us the excess receipt obtained from the garage or, a copy of the settlement letter. This is used as documentary evidence to support your claim. If you recover your excess in full from the other party then this usually, assuming your insurers have also recovered their outlay, will protect your no-claims bonus. If your vehicle is repairable then seek from your insurers authorisation of repairs and have them carried out as soon as possible. You may find some garages in your area are approved insurance repairers and will deal direct with your insurance company. In the event that your vehicle is assessed beyond economical repair your insurers will automatically take back the salvage and will make an offer for the pre-accident value of the vehicle. If you accept their offer they will deduct the excess from the settlement cheque. If you do not agree with the value placed on your vehicle then, unfortunately, it is between you and your insurers to agree a settlement. The first question is whether your vehicle can be repaired or is it beyond economical repair. (i) If you are certain that the vehicle can be repaired and the vehicle value exceeds the costs of the repairs then you must provide us with at least two estimates from reputable garages. If you can afford to pay the garage before you claim the cost from the other party then please arrange for the repairs to be carried out as soon as possible and on completion supply us with receipted repair invoice. It is a good idea to obtain the other insurance companies approval in advance. Unfortunately the other insurer will not be prepared to instruct the garage direct and authority for repairs has to come from you as owner of the vehicle. Recovery of repair costs will be subject to liability being established against the third party. If you are not in a financial position to afford the cost of repairs then we will try to obtain a case in lieu settlement and you MUST obtain a pro-forma invoice from the repairing garage and send it to us as soon as possible. Most garages are helpful but they may wish to make a charge for preparing the pro-forma. This is only recoverable if the repairs are completed at that garage. A proforma will confirm the total cost of repairs including part, paint, labour + VAT. (ii) If you consider your vehicle beyond economical repair then confirm the position in our instructions. We will arrange an inspection of your vehicle by an independend engineer as a matter of urgency. When we receive the engineers report we will automatically provide you with a copy and ask for your approval. If the engineer considers your vehicle beyond repair he will assess the pre-accident value and the present value as salvage. You retain the salvage and this amount is deducted from the pre-accident value, the balance being the amount you are claiming from the other party. If you do not agree with the engineers valuation then it is up to you to provide us with documentary evidence supporting a higher valuation which we will refer to the engineer for his further consideration. If you agree with the report then you are free to dispose of the salvage or sell the vehicle, but it is always prudent to wait until the other insurance company has had the opportunity to make their own inspection should they so wish. Under a fully comprehensive policy your own insurance company will normally pay storage charges. If you are not insured fully comprehensive then storage and towing charges are your responsibility. They must be kept, by law, to a minimum. Move your vehicle to your home address or place in free storage if reasonably practical. If this option is not possible contact us immediately for further advice. Do not allow storage charges to mount up especially if you are aware your vehicle is beyond economical repair. If you have paid a towing charge, please send us the invoice as soon as possible. N.B. If the vehicle is not on a public road, the tax should be surrendered. Only full months are allowed, so surrender the tax before the last day of the month. Do not scrap your vehicle before an engineers inspection. Under insurance policies it is wise to surrender your certificate of insurance and cancel your policy in order to obtain a refund from premiums paid for remaining insurance cover. If you have to hire an alternative vehicle, hire the cheapest that is capable of meeting your purpose. The law will not always enable you to recover the cost of a similar vehicle to yours. Keep the hire to a minimum and do not hire beyond a reasonable period. During the repair period make sure that the garage or insurance company are going ahead as quickly as possible. If the repairs are likely to be lengthy, consider the possibility of buying a replacement vehicle. If your vehicle can be made roadworthy, have temporary repairs carried out. If your vehicle is beyond economical repair then you are entitled to hire for a reasonable period. Instead of hiring consider whether you would be satisfied with normal compensation for loss of use of your vehicle. Collision damage waiver and Personal Accident Premiums are not always easily recoverable. Check your own insurance policy to see if it is cheaper to add a temporary vehicle, this is of particular importance if hiring for long periods. It sometimes proves necessary to make some allowance for saving in wear and tear on your own vehicle whilst a hire vehicle is used. You should always check that the hire prices are reasonable. In the event that you were travelling in your vehicle with passengers, claims on their behalf can also be made providing liability is not an issue. Please advise us of your passengers identity at the earliest opportunity.